After my return from Harvard, I visited Hosahalli a few weeks ago. As I was walking down along the path that links the two campuses of SVYM, I felt my eyes searching for the familiar figure who would come running to see me. My heart grew heavy as I learnt that this would never be. I had moved out of Hosahalli in December 1993 and every time I visited the place, Thimmiah would come and meet me. He had this extraordinary ability of making me feel special and important. He would come over recounting some old incident, offer me some fruits from his garden which I had helped establish or complain about the changing value system of the younger generation of tribals. He always had a smile and a cough, which reminded me that he continued to smoke. It was a ritual for me to chide him for smoking or for not taking his anti-tubercular medications. And he would always maintain that things were fine with him. I remember him telling me once of his childish desire of wanting to wear full-length trousers. He was so happy when I gave him one of mine. He would fondly tell any visitor coming to Hosahalli, this ‘generosity’ of mine. What he never told anyone was that I learnt from him what it was to serve unconditionally and selflessly. As explained in my previous post, we had been allotted 5 acres of land at Hosahalli in late 1987 and were planning on building the school. Masthi had got the concurrence of the spirits and we were now looking around for donors. Vested interests were also growing against our presence and some wanted us to leave and were trying to prevent us from empowering the tribals. Keeping a watch over the Hosahalli land was turning out to be a problem. I realized what a liability the assets could turn out to be! It was then Muddiah told me that it was indeed a good idea that I had asked Thimmiah, a local Jenukuruba tribal to watch over and be the custodian of our land. I was confused. I hardly knew Thimmiah, leave alone ask him to watch over our land. I was indeed wondering about how the shrubbery was getting pruned and the land was looking cleaner. I decided to go and meet this Thimmiah and have a chat with him. I visited Hosahalli and surprised him as he was removing some weeds and driving out the goats that were grazing in the land. I politely enquired what was he doing and sought to know why was he doing that. His answered surprised me and left me humbled. He explained to me that he belonged to a lineage of chieftains and since he had moved into this ‘Jamma’ of Masthi, he could no longer be a chieftain. While he could not function as a ‘Yajamana’, he said he could not stop thinking and acting like one. He had heard that we were going to build a school there and that the spirits had given their concurrence. He saw this action of the spirits not as permission for us to build on their traditional site, but as an instruction from above to lend his support to us. While money by itself meant nothing to him and he had little of it to offer anyway, he felt that he had to give what was most valuable to me then. His explanation was that land was something that people could encroach upon and he was preventing any such misadventure. And as an after-thought, he added that he was clearing the weeds to drive away emptiness and boredom and also to ready the place for construction to begin. Indeed, the school got built because people like Thimmiah had made sure that it would get built. 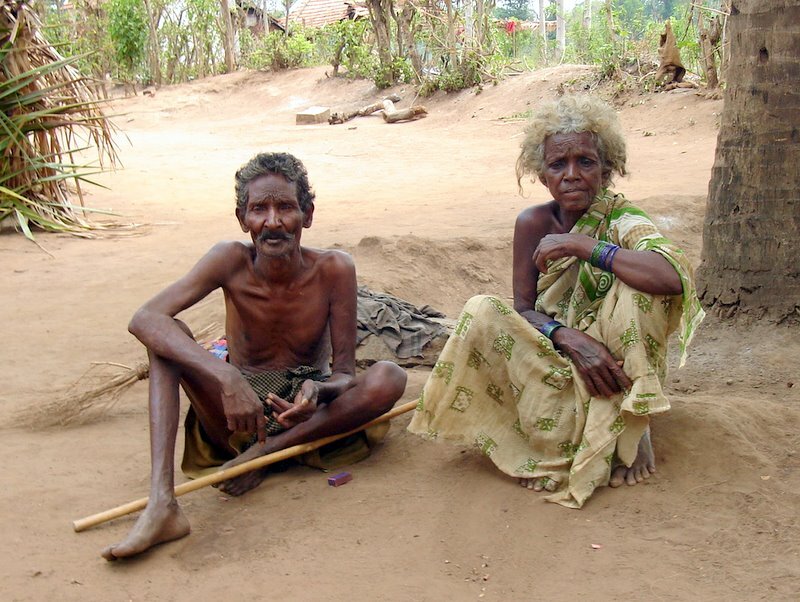 As age and disease caught up with Thimmiah, I had asked Prasad, the then resource manager at our tribal school, to ensure that both he and his wife got 3 sumptuous meals from the school everyday. Prasad could never really understand the reason behind my gesture! Disease, smoking and old age had taken their toll on Thimmaiah’s body and he quietly passed away a few months ago. Thimmiah, I will indeed miss you; and society will miss the values that you so comfortably lived by. May your soul rest in peace. Next Article Ushering in change – the Ningamani way!